Hands up who’s got a cold, had a cold or knows they’re going to get a cold shortly. It’s miserable being sick! And when you’re sick, it’s the only time of the day that you don’t want to go to bed because you can’t sleep anyway. Any New Year’s resolutions or good intentions should go out the window. Comfort is all that’s needed or wanted. Bring on those favorite cosy PJs, baggy jumpers and hot water bottles. Hands up who has someone to cook for them when they’re under the weather. Very few of us do. A friend in need is a friend in deed at times like these. Victor is actually a very good nurse but with the children and work inevitably I’m left to feed for myself if on those very very odd occasions I’ve been home sick alone. Half the battle of getting back on your feet is having the correct nutrition . Hot chicken broth isn’t called Jewish penicillin for nothing. Scotch Broth has the magic touch too but it has to be homemade. When I was little I did love a tin of tomato soup and if nobody is there to look after you there are many worse things to indulge in. I’ve banned stock cubes from my larder as I couldn’t translate the periodic table on the label. However having a back up in the freezer really is worth its weight in gold. I’ve had turkey stock and ham stock coming out our ears as LO’S from Christmas but at times like these they are invaluable. You can top up some stock with fresh chillies and herbs and a few noodles if you fancy or a tin of cannellini beans or even some frozen peas can be enough to feel like a gourmet meal when the Lucozade bottle is almost flat and the soothers are cutting your tongue raw. In my time of need it has to be pasta in any form, butter and Parmigiano is a winner and for the ultimate comfort it has to be cake and custard. What’s that saying…”feed a cold” I like that one. This is a dish from our region, Lazio. It’s a pasta you’ll see on every menu in Rome made with cured pig’s cheek, Guanciale, you can use smoked bacon rashers as an alternative. 1. Choose a wide shallow pan and gently fry the onion until soft, add the chilli and guanciale and colour but don’t let it get too brown as you don’t want it hard. 2. Add the tomatoes and simmer for about 45 mins until the sugo is glossy. 3. 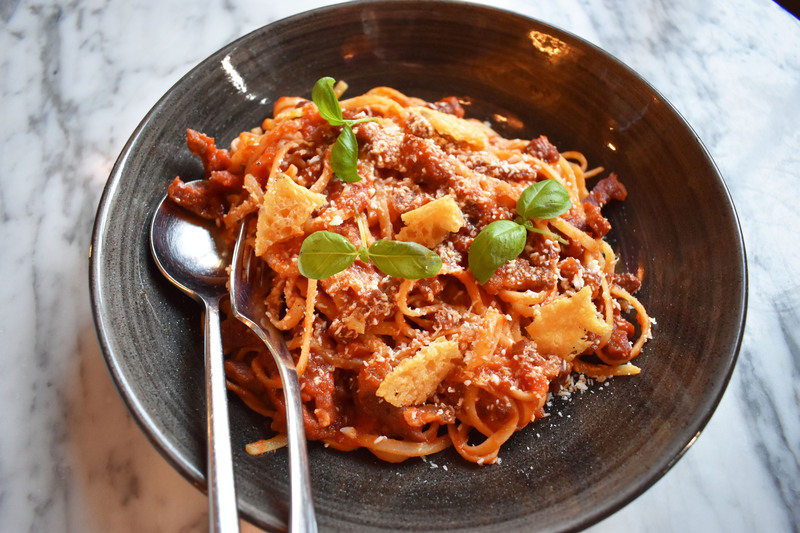 Traditionally serve with bucatini but if you’re feeling under the weather its too much of a battle, choose your favorite pasta. We keep a spare panettone, left over from Christmas, just to enjoy this ultimate pleaser. Totally cuddle up comfort. 1. Warm the cream, the vanilla pod and half the sugar until it starts to steam but doesn’t boil. Remove the seeds from the vanilla pod and add these back to the pot. 2. In a glass bowl beat the egg yolks and remaining sugar and then add the cream and mix thoroughly. 3. Transfer the cream back into a clean pan and stir over a low heat until it thickens. 4. 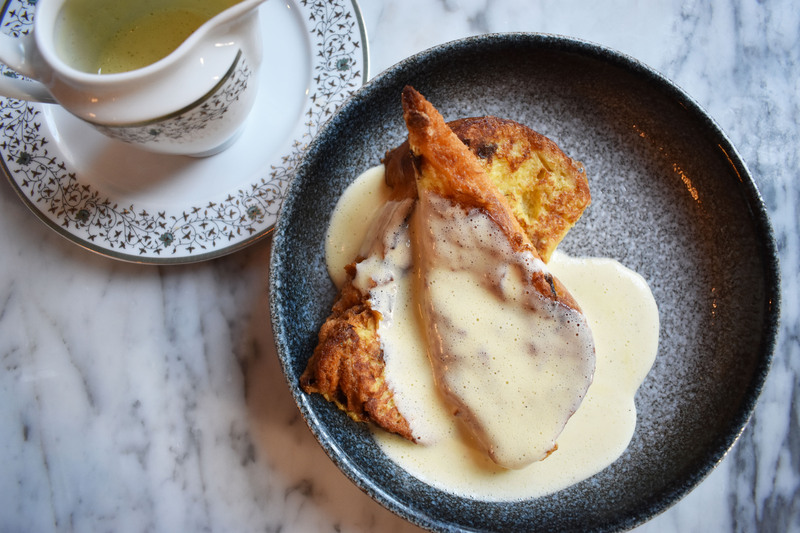 Pan fry the panettone in the butter until golden on both sides and serve with as much comfort custard as you need.